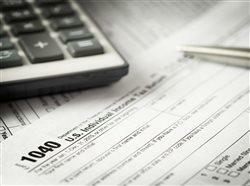 Some taxpayers will need to look more closely to determine if they will pay less or even more. The new law eliminates personal exemptions and reduces deductible items, such as limiting the total deduction for state and local income taxes to $10,000, reducing the amount of deductible mortgage interest and eliminating the deduction for interest paid on a home equity line of credit. Therefore, if you itemized deductions in 2017 and your deductions were greater than the applicable standard deduction, you will have to consider what deductions are available in 2018 and estimate your tax liability.In states with higher income taxes and property taxes, it is possible that the loss of itemized deductions will be greater than the benefit of lower rates and your tax liability could increase.